… It took moving a state away, to Ohio, when I was thirty-four before I could begin chipping away the anger encasing me. 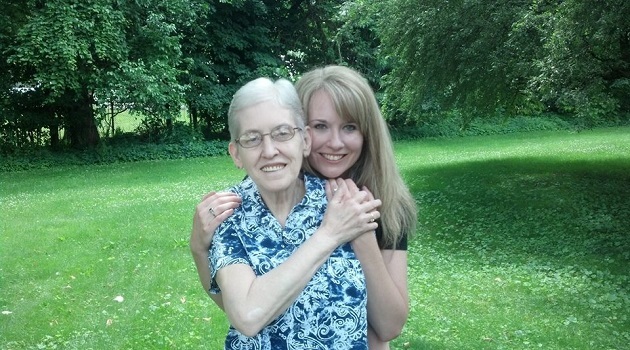 While I live three hours from her and see her every few months, I speak with her often, most importantly about her memories of being a single lesbian mother. At thirty-eight, I’ve been writing about us based on our memories and current understanding of each other. I discovered memoir by accident when I turned thirty-two and enrolled in graduate school to get a master of arts. I took a memoir class, the only class offered that fit my schedule, and found that this subgenre of creative nonfiction was the kind of writing I’d always wanted to do. When I finished the degree at thirty-four, I enrolled in an MFA creative writing program, where a professor suggested I read Alison Bechdel’s graphic memoir Fun Home: A Family Tragicomic. Since then, I’ve been ravenous for memoirs by writers who grew up with gay parents, most recently Fairyland: A Memoir of My Father by Alysia Abbott and The Scientists: A Family Romance by Marco Roth. I needed to see how others reconciled their childhoods, carving out a space for themselves within families and personal histories that secreted a parent’s homosexuality in shame. Place seems to have as much to do with this shame as the harbored secrets. The smaller, more rural and interior the place, the more shame and secrets. Bechdel’s Tragicomic, whose setting is Beech Creek, Pennsylvania, attests to this. The more revolutionary the city—San Francisco—the more open the relationship between parent and child, evidenced in Abbott’s Fairyland. And though homosexuality in as urbane a place as New York City implies acceptance, it does not presume honesty within a family. This bears out in Roth’s The Scientists. The full essay can be found here in Hothouse. You are currently reading How Memoir Saved My Life at BREVITY's Nonfiction Blog.